Heathrow is one of Britain’s biggest and most popular international air travel hubs. It’s an absolutely vast place, so we thought it’d be useful to take you on a brief tour of terminal number 3 and provide you with flight information, directions, public transport options, car parking at Heathrow Terminal 3, the airlines using it, the destinations it handles and the services and facilities on offer. Heathrow’s terminal 3 alone gives travellers a huge choice of retail outlets, an impressive collection of 43 shops and 18 restaurants. Click the link to find the full list on the airport’s official website. The terminal includes a wealth of high class retail brands including a Bally, Gucci, Harrods, Bulgari, Burberry, Cartier and Chanel. But there are also plenty of everyday shops for people without enormous bank accounts, including a Boots, Sunglass Hut, a Post Office, Dixons Travel, WH Smith, Jack Wills and an M&S Food outlet. Setting people down – You’ll find special set-down areas with their own lanes for cars outside each terminal. You can’t wait there but you’re allowed to unload. If you try to wait the airport police or Heathrow car parks staff will move you on. Picking people up – If you’re picking someone up you have to do it from the short stay car park. Alternatively, if it’s really crowded try the long stay car park, where you can park free for up to two hours. Just bear in mind you’re not supposd to return to the long stay car park within 24 hours, presumably to stop people taking advantage of several free two hour parking stints in a row. You’re not allowed to wait outside the terminal on the forecourt, either. No matter which option you pick for airport parking, London Heathrow is reassuringly strict about unattended vehicles. If you leave yours outside the terminal for any reason whatsoever, or leave it anywhere else you shouldn’t, it’ll be taken away by the police. And they’ll charge you to get it back as well as handing over a parking ticket. If you don’t pick it up the same day, you’ll be charged a daily fee for every day it stays with the police. You’ll find the airport just 15 miles west of London. Luckily all five terminals are located right in the centre of the site, which means Terminal 3 is easy to find. To get to it by road, simply exit the M4 motorway at junction 4 or the M25 at junction 15 and follow the signs for Heathrow Terminals 1, 2 and 3. If you want to plumb the postcode into your SatNav just in case, terminal 3 is at TW6 1QG. There are regular bus and coach services to and from London and Heathrow, offering travel to more than 500 destinations right across Britain, plus an excellent local bus service to numerous west London destinations. What about airport hotel buses? If you’re staying at the airport on your outward or return journey, there are direct buses between many of the local hotels and the airport. There’s a good choice of Heathrow taxis and minicab firms, three of which are endorsed by the airport itself. You’ll find the nation’s iconic black London cabs waiting at taxi ranks at every terminal and they all provide wheelchair access. Private hire minicabs are another option, with a fixed price ride. You need to pre-book your ride online or over the phone, and they’ll meet you at Arrivals. You will be driven by an industry-leading, experienced chauffeur in one of the safest and most comfortable vehicles available in the United Kingdom. Arrange your service from any UK address to Heathrow and then have a chauffeur waiting to greet you when you land at Heathrow for your return journey. What about cycling to and from Heathrow? The airport, like all major hubs these days, tends to encourage travel by public transport. And these days it’s actually possible to cycle a series of attractive, safe cycle paths into and out of central London from the airport. Use the excellent Transport for London journey planner to sort out your route, much of which winds along the banks of the historic Grand Union Canal. It only takes 90 minutes. Once you arrive, bicycle parking is free at terminal 3. Look for the Cycle Hub, Heathrow Academy, Newall Road, Hounslow, Middlesex, TW6 2AP. If you want to stash you bike while you’re away, you can store it safely in Left Luggage for a generous maximum of 90 days. On the downside, leave your bike anywhere you’re not supposed to and it’ll be removed by security staff. The official airport website includes an excellent resource, a list of every destination and airline servicing terminal three. Are Airport Lounges Worth the Cost? We’ve waxed lyrical about airport lounges before, taking a good look at the comfort, peace, quiet and great facilities they offer to the travel-worn, noise-averse and crowd-hating travelling public. But there are rumblings afoot… are priority pass airport lounges still good value for money or has the bubble burst? We thought it’d be interesting to explore some of the grumbles and take a look at their future. Is the term ‘VIP airport lounge’ an oxymoron these days? It’s important to note that airline clubs vary greatly in quality, even within a single airline. One location might be new and spacious, while another might have seen its last refurbishment when the Boeing 707 ruled the skies, with nary a free seat to be found. With your membership you get an open bar (although not top shelf) in some clubs, snacks, free wireless Internet, comfy chairs and two guests. Premium spirits, wines, and beers are available for sale in many clubs with rather extensive menus on offer in the American and United clubs. Delta is the only airline to still offer a variety of premium spirits and beers for free. But another huge perk reveals itself when you need to be rebooked on an alternate flight because yours was cancelled or delayed. Would you rather stand in line with scores of the dumped and grumped, or go to the club, where the lines will be shorter (club receptionists are also able to rebook flights and assign seats). And for some, just having enough power outlets to charge computers and phones is reason enough to join. Airport lounge club day pass or annual membership? Airfare Watchdog also look at the benefits of annual airport lounge membership compared to day passes. They found that day pass lounge access tends to be the best value for infrequent fliers, with annual membership the best value for frequent fliers. No surprises there then… it’s exactly the way things should be. In reality, not all lounges are created equal and there are some that definitely aren’t worth the hassle. Ultimately, whether lounge access is worth it for you will be determined by your travel patterns and needs. Handily, the Huffington Post also provides an excellent resource in the shape of a breakdown of the bad and good elements of the best airport lounges, looking at Paid Access and Premium Ticket access, Domestic and International lounges. Again, importantly, they stress the benefits of lounges if you have a problem with your flight, since it’s sometimes possible to sort things out in the lounge itself without having to join an enormous concourse queue. On the other hand it’s usually the airline-specific lounges that provide this level of service. If your BA flight is delayed and you’re relaxing in a Pan Am lounge, it’s probably tough luck. Many airport lounges don’t allow infants and young children in. Which is fair enough, since a lounge full of tots isn’t going to be particularly relaxing place, and it’s one of the things people pay to avoid. If you’re not sure whether the lounge you’d like to book allows children, it’s best to check first. The Independent Traveller website has come up with some cool tips for making the most of the airport lounge access program opportunity. Unless you’re a frequent traveller, buy a day pass. Some Credit Cards offer airport lounge privileges – does yours? Be a guest. Some lucky people have found that simply hanging around outside airport lounges looking friendly does the trick. Ask lounge members on their way in if they’ll let you come in as their guest and you never know what might happen! Known as ‘The Queen’s Terminal’, the new Terminal 2 at Heathrow Airport has been open since 4 June 2014 and mainly houses the airlines of the Star Alliance. The new Lufthansa lounge – at more than 1,600 square metres the largest outside Germany – has also been completed. It provides sufficient space for a Senator and Business Lounge area which Frequent Travellers are also now able to use. Lufthansa, Austrian Airlines and Germanwings share a joint ticket counter in Zone B. Business Class passengers as well as HON Circle Members, Senators, Frequent Travellers and Star Gold card holders have separate ticket and check-in counters. At the same time, travellers at Minneapolis St Paul International Airport can work on their golf game, enjoying the new golf ‘simulator lounge’. It’s called a golf lifestyle facility and comes complete with refreshments, shopping and an ‘immersive golf experience’. The golf lounge lets golfers of every level play on high tech simulators and they can even get instruction from PGA professionals or get fitted for new clubs. Crikey! The first of its kind, does it herald a new wave of targeted airport lounge access programs designed to appeal to specific demographics? Only time will tell. SkyTeam is set to open smart, brand new airport lounges at airports in Dubai, Hong Kong and Beijing in 2015. Cathay Pacific will close the Pier Business Class lounge at Hong Kong Airport in June2015 for a radical refit. SAS will open new mini café lounges near main departure gates at a bunch of airports this year. And SkyTeam’s fab Sydney Airport lounge is now open for travellers on the alliance’s partner airlines and paying guests. You’ll find it at Gate 24. The ABT website includes a really good article detailing five paid airport lounge schemes you should know about, equally applicable to British travellers. Here’s a link. What are the best airport lounges? It’s a case of horses for courses, but we get some great feedback about the Marhaba Lounge, Dubai, one of the most popular Dubai lounges, and the British Airways lounge Heathrow, one of the public’s best-loved Heathrow lounges. All in all, it looks as though the airport lounge phenomenon is still breaking into the mainstream. Which means competition is still fierce, which in turn means the standards and quality should still be rising. If you know different or have suffered a nightmare experience of your own, we’d love to hear about it. There’s trouble in East Grinstead as ‘problem parkers’ dump their vehicles in the sleepy little town then disappear off by train to Gatwick for a holiday, or to London for a long weekend. And it’s driving the residents nuts. One woman is so fed up with travellers leaving their cars clogging up the road outside her house that she’s at her wits end. At one point a car was left outside her house for nine days while its owner swanned off somewhere or other. Long-suffering Janet Furnish, who lives on Halsford Park Road in East Grinstead, says she’d planned to confront the vehicle’s driver when they returned, but the offenders managed to collect the car while she was out. So she missed the opportunity. In her opinion the selfish holidaymakers dumping their cars make it impossible for large vehicles to get down the road. And she should know, as she’s having building work done at the moment and problem parkers are driving her builders nuts, too. No wonder East Grinstead Town Council is determinedly opposing a second runway at Gatwick. Gatwick parking – What’s going wrong? It’s an interesting story for more than one reason. First, it illustrates a level of selfishness most people would be ashamed off. Second it’s a crazy practice when Gatwick airport parking is such good value, so convenient and so close to the terminals. And third it begs this question: if people are ignoring the airport’s excellent parking facilities in favour of blocking public roads, annoying residents and catching trains, what is going wrong at Gatwick? Why are people deciding not to use the airport’s massive, secure, safe on-premises car parks? Who’s job is it to make sure people park responsibly in East Grinstead? At the same time a spokeswoman for Mid Sussex District Council explained that while West Sussex County Council are responsible for parking restrictions on the road, parking officers from Mid Sussex are regularly asked to make sure parking restrictions are ‘enforced properly’. In other words, everyone’s passing the parcel. And this kind of Teflon-desking isn’t the best way to sort out a problem that doesn’t look like it’s going away any time soon. Just imagine what residents will have to put up with during the holiday season. Nightmare. The crazy thing is, Gatwick airport parking is genuinely good value for money. It’s on the site itself. You don’t need to catch a train. You don’t even need to walk. There are plenty of shuttle buses. You can pre-book Gatwick parking so all you need to do is turn up. If that isn’t convenient enough for you, you can even arrange meet and greet parking at Gatwick, AKA Gatwick chauffeur parking or Gatwick valet parking. Whatever you prefer to call it, it means you don’t even have to do the parking bit yourself. All you do is drive to the terminal, hook up with your meet and greet driver and they will park your car for you. What’s not to like? By the same token if you’re going for a long weekend in London, paying a tenner a day Congestion Charge isn’t a big deal in the great scheme of things, and the city’s excellent Q Park scheme can cut 50% off parking in the Congestion Zone. Again it begs the question, why do an increasing number of people find it more convenient to dump their car miles and miles from the city and catch a train in? In short, why clog up other people’s living spaces when the alternatives are so simple, convenient and cheap? Meet and greet parking at Gatwick is brilliant if you’re on your own, let alone when you’re struggling with luggage/kids/pets. As well as having your car picked up at the terminal it’ll be dropped off for you, so all you have to do on the home journey is find your vehicle and get in. All courtesy of a friendly, fully-insured valet driver. And it only costs about 15% more than the regular Gatwick park and ride service. Compared to parking your car at East Grinstead, finding the station, buying tickets and struggling with luggage, finding the right terminal at the Gatwick end and doing it all again on the home journey, surely there’s no contest? But as they say in Yorkshire, there’s nowt as strange as folk! What’s your opinion on problem parking? If you’ve ever indulged in problem parking, why did you do it? Would you do it again? And how would you feel if your road was jammed with cars whose owners had left them there instead of paying for proper parking facilities? It’s a long, long way away. If you live in Britain, flights to and from South Africa take a while. The last thing you need is to get on your ‘plane home all frazzled and cross, stressed and weary, grubby, thirsty and peckish. Whether you’re travelling international or domestic, you need a comfortable, smart, relaxed airport lounge. We thought it’d be useful to take a detailed look at the airport lounges at Johannesburg airport and repot back to our readers. 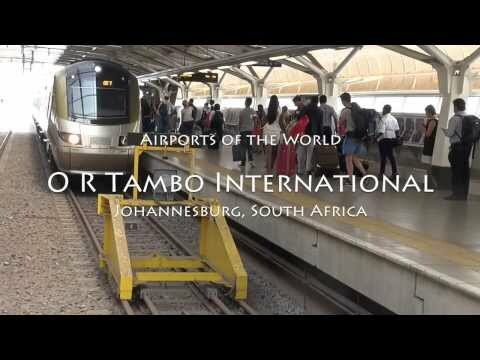 Here’s a link to our airport lounges page for Tambo airport. Scroll down and you’ll also find some essential tips for staying safe in the city, and a handy list of the best sights and attractions in the area. Happy travelling! Head for the international terminal and you’ll find the Bidvest Premier Lounge, an oasis of calm. The cost? From £20 per adult for a comfortable guaranteed space. Turn right after Security and head for Duty Free. Grab the escalator at the end of Duty Free where you’ll see the Out of Africa retail outlet. Go up to the mezzanine floor and you’ll find the lounge in the right hand corner. This lounge is also accessible to international passengers departing from the domestic terminal, B. If you’re in Africa to travel, there’s a domestic passengers’ lounge to enjoy. Head for the domestic terminal and you’ll discover Bidvest’s Sky Lounge, where it costs from £20 for all-inclusive comfort. You’ll find it by turning right after Security, taking the lift to the 4th Floor and heading left. Remember, this lounge is only for domestic travellers. What if you turn up ridiculously early for your flight? An airport is rarely the most pleasant place to while away time with the nasty fluorescent lighting, stale air, uncomfortable seating and surging crowds. So what is there to entertain you at the airport itself, and what about the immediate vicinity? Is it the usual situation, where the airport is sited within miles and miles of inaccessible runways and roads, or is it possible to escape and explore? The airport itself has all the facilities you’d expect but, like most airports, not much to entertain you beyond eating, drinking and shopping. And while you can take a brisk walk around the concourse there’s nowhere to go outside. Never mind! You can buy books and magazines and access the internet via your mobile, tablet or laptop via the airport’s WiFi and internet access points. Other than that, the airport lounges are your best bet for comfort and entertainment. Johannesburg has become notorious in recent years for violence, theft, assault and all sorts of other nasties, mainly because the gap between the city’s rich and poor is so wide and still widening. On the other hand, like all cities, there are safe parts and areas you’d be wise to avoid. Here’s what the airport website recommends for visitor safety, much of which is simple common sense. Aimless wandering isn’t recommended. Look purposeful! If you’ve spent time in Johannesburg airport, what do you recommend for making your journey as painless and enjoyable as possible? You can leave a review of the airport lounges at Johannesburg if you like, to help our readers make the right decision. Some people go there on holiday. But the majority of British people travelling to and from Dubai are there on business. And to do great business, you need to arrive at your destination fresh, relaxed, rested and raring to go. That’s why Dubai airport lounges are such a popular booking on our site, and why cheap Dubai airport lounges are in such high demand. It might only be a seven hour flight but plenty of travellers find it a tiring business, especially when you have to arrive hours before your flight to check in. So we thought it’d be useful for our customers to take a look at affordable Dubai airport lounges, how much they cost and what you get there. If you want to take advantage and beat the crowds, read on to find out more. It needn’t cost you a fortune. In fact it’s remarkable cheap. First, let’s look at your choice of lounge facilities at Dubai airport. These days ordinary travellers are just as likely to take advantage of airport lounge facilities as business travellers. Which means their legendary quietness and calm can be compromised, especially when there are children involved. Thankfully for the discerning business traveller, Dubai airport provides a very special Business Class airport lounge serving Terminal 1, accessible via Concourse C.
While there’s no disabled access or conference facilities, the lounge offers snacks and drinks including alcohol (only served between 8pm and 3am during Ramadan). Plus air conditioning, showers, TV, flight monitors, WiFi and internet, phone and fax. The décor is cool and smart, there’s plenty of greenery to help you relax and it’s open 24/7. There’s even a separate smoking area and a quiet, peaceful prayer room. And the Dubai airport lounge cost for this very special facility? It’s yours from just £35. As well as the special lounge for business travellers at Dubai airport, there are three more lounge areas to choose from, all perfect for ordinary mortals visiting the country for everyday reasons rather than on business. What is the everyday Dubai airport lounge price? These three public lounges are all immaculate, comfy and chilled. And they cost from just £32 per adult. That’s not a lot when it means you avoid the madding crowds and are guaranteed a lovely, comfortable space to relax in instead of coping with the usual airport mayhem. You’ll arrive at your final destination feeling rested, relaxed and ready for anything instead of frazzled to an emotional crisp and in need of a week’s recovery in a darkened room! 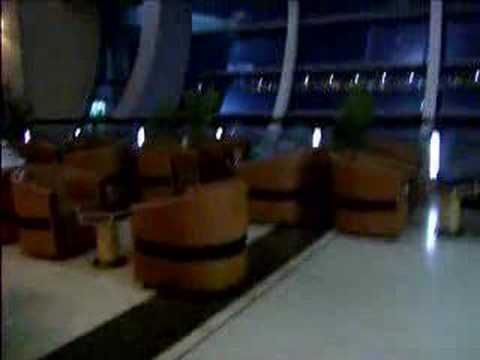 What do the lounges at Dubai airport look like? Dubai is famous for its considerable creativity, the impressive quality of its architecture and its unique contemporary interior design style. Which means the lounges at Dubai are cool, immaculate and a pleasure to relax in… or get to grips with your next big meeting in. A haven of peace, there’s real wood furniture designed for comfort. Exactly the right level and type of lighting for either chilling out or effective working. Excellent service by unfailingly polite professionals. Nice, big windows with interesting views of the airport action. And everything is absolutely spotless. What’s not to like? An airport lounge experience beats spending hours on the concourse hands down. Just like any good airport lounge, Dubai airport lounges provide everything you need in with the price. Say you have four hours to wait, which isn’t unusual for air travel. If you stay on the concourse it’s easy to spend a lot of extra money on snacks and drinks during those four hours, as well as any number of other extras. Relax in a lounge and it’s all-in, potentially much cheaper. What if you’re delayed or need to stay the night near Dubai airport for some other reason? You can easily spend a small (or large!) fortune on an expensive local hotel, somewhere so smart and posh it’s more or less the ultimate in luxury. When you need a basic, affordable crash pad for the night, what’s on offer? A grand hotel without a grand price tag, the Jumeirah Creekside Hotel is just over half a mile from the airport and is also close to the Tennis Stadium, Golf & Yacht Club and Deira City Centre. You can easily walk it! Want to book space in a Dubai airport lounge? Here’s a link to the right page. All you do is enter your details in the yellow box to get a quote and make your booking. You’ll find Manchester Airport at Ringway, Manchester. Last year it was Britain’s third busiest airport as far as passenger numbers are concerned, and the 21st busiest in Europe – in 2013 almost 21 million passengers passed through its gates. It’s also the biggest regional airport in the UK with more than double the passenger numbers at the next biggest, Edinburgh. You can fly to 225 destinations, more than any other British airport, via more than 50 airlines. It offers three terminals, two runways and the capacity for an impressive 61 aircraft to take off every hour. Here’s our one-stop-shop guide to Manchester airport hotels, airport facilities and much more. Whatever you need to know, you’ll find it here. Manchester Airport started life as Ringway Airport back in 1937, like many British airports a product of Word War Two. During WW2 it was a base for the RAF, a vital cog in the military aircraft production and parachutist training machine. After the war it reverted to civilian status. In the early 1970s, when package holidays emerged as the next big trend, the M56 motorway opened and improved access. In the 1990s a rail connection was established, and two more runways added. The control tower is very new, built in 2013 to replace the original. At 60m it’s Britain’s second highest. By car – The airport connects directly to the motorway network, just off the M56 junction 5, and has its own approach road. It is very well signposted on all local motorways including the M6 and M60. By cab – You’ll find taxi ranks outside all three terminals and the tariffs are clearly displayed at each rank. By taxibus – Airportcarz operate a taxibus service from all 3 terminals. You’ll find details in each terminal’s Arrivals area. By bus – Frequent services operate to and from the airport 24/7. Buses connect to the city centre and depart every 10 minutes. National Express also runs a coach service to and from the airport. By train – The airport connects direct with the rail network with its own station, called The station. There are frequent local and regional trains to the city’s main rail station, from which you connect to Britain’s national rail network. Terminals 1 and 2 handle scheduled and charter flights. Terminal 3 handles domestic flights, some scheduled EU flights and American Airlines flights to The States. Bear in mind there’s a strict no waiting policy on all surrounding access roads, put in place after the 2007 Glasgow airport terrorist incident. Pick-ups must take place via the official short stay car parks, multi-storey affairs situated right next to terminals one and two. Terminal 1 short stay multi-storey was smartened up recently and features handy colour-coding for the different levels, great news when otherwise they all look the same, and handy when you’re in a rush. Every parking space has its own sensor and light, and if a space is empty the light shines green. You’ll also find long stay parking at Manchester near the terminals and there’s a regular courtesy bus. One car park serves terminals 1 and 3 and there’s another for terminal 2. There are also a couple of long stay ‘JetParks’ less than a mile from the terminals, a cheaper choice than on-site car parking. There’s a 24/7 shuttle bus that runs every quarter of an hour. There’s also a special Shuttle Park for long term parking, with its own courtesy bus, located off-site to the east of terminal 3. And there’s a handful of privately owned and operated car parks close by, all with shuttle buses. 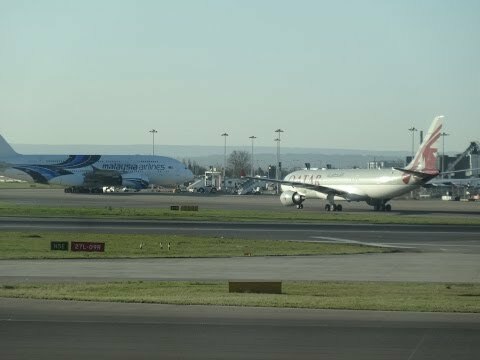 How to get the best deals on parking at Manchester airport? Do it through us and get an excellent price, booking before you go for convenience. Hilton Manchester Airport – Less than 5 minutes to the airport by courtesy bus, with 12 meeting rooms to cater for up to 250 people. If you don’t fancy leaving your car in long stay, you can leave it at a wide variety of convenient hotels near the airport, perfect if you’d rather sleep comfortably close by and fly fresh in the morning instead of travelling at all hours of the night. It means you’re less likely to be delayed too, with no missed flights to worry about. You can either book a room on its own or combine a stay at a Manchester Airport hotel with parking. If you enjoy watching approaches, landings and take-offs, whether or not you’re flying, you can visit the excellent Airport Hotel, a Robinson’s Brewery pub half a mile from the airport itself with a beer garden facing the end of taxiway J.
Stansted Airport lies near Stansted Mountfitchet in Uttlesford, Essex, just 30 miles north east of central London. Open 24/7/365, Stansted is one of London’s big five. It offers more than 150 destinations in 30 countries across the world, some of the most popular of which include the international destinations Malaga, Rome, Athens, Bordeaux, Lisbon, Rabat, Barcelona, Dortmund, Prague, Alicante, Fez and Dubrovnik. It handles domestic flights too, some of the most popular of which include Edinburgh, Dublin, Derry, Guernsey, Jersey, Glasgow and Belfast. At the British end it provides excellent access to the fertile heart of the London-Cambridge corridor, vital for business. What awaits you at the airport? And what facilities do they provide? Here’s a run-down about Stansted airport facilities, hotels, plans, history and more. It’s just a short bus ride from the airport’s car parks to the terminal and the short stay facility is only a short walk from check-in. Remember to take full advantage of our Stansted airport parking comparison tool to find the right service and deal for you. There’s everything you’d expect from a major hub on tap at Stansted, including cashpoint machines and currency exchange facilities, car rental, a post office, baby changing areas, trolley and porter services. There’s even a place to pray. There are 125 check-in desks, more than 25,000 airport car park spaces, 110 aircraft parking stands and it’s a mere 47 minutes to central London by rail, with a train leaving every quarter of an hour. In fact the public transport links are so good 50% of passengers take advantage of them instead of driving. There’s a good choice of buses, trains and taxis and the airport has its own rail station, directly below the terminal and staffed every day except Christmas Day. Some brave souls even cycle to and from the airport. There’s a special free bike shelter in the Red Zone of the short stay car park and another next to the terminal, just behind the coach station. When you’re on business and time is at a premium, you can take advantage of a meeting room at the airport itself or a nearby hotel. If you want to freshen up before departure there are smart, clean showers in the departure lounge – after security – and more in the international arrivals area. There are plenty of cafes, restaurants and bars. And you can tap into Wi-Fi everywhere in the terminal, free for an hour a day for every registered device. Most of the hotels at the airport offer car parking as an optional extra, as you’d expect. You can stay in a comfy, spotless hotel just minutes away from the terminal, arriving fresh at your destination rather than worn out and ragged at the edges! You can book your Stansted hotel room at a great price right here with us. If peace, quiet and comfort is a must on your journey, there’s a smart airport lounge to enjoy, the No.1 Lounge at Gate 49, after security control, a 15 minute walk from the domestic gates, with easy access to gates 40-49. You get free drinks, snacks, newspapers and magazines in with the price and it’s a great place to chill out while you wait for your flight. There are remarkable views of the runway as well as unlimited WiFi, board games, TV and even special kids packs to keep the youngsters entertained. It’s open from 4am to 9pm and you can book yourself into Stansted airport lounge through us. Do you need assistance at the airport? If so you need to let the airline know at least 48 hours before you fly, both for the outbound and inbound journey. It’s advised you turn up at the Special Assistance desk, ideally at least 2 hours before your flight time and no later than an hour before departure. Stansted plans to attract more airlines and new long haul routes, including more flights to and from the Middle East and USA. They’re looking at ways to maximise their single runway and improve access links, all of which will be done bearing the latest environmental rules, regulations, laws and recommendations in mind. They believe it’s entirely possible to handle 40-45 million passengers with just one runway, without making serious infrastructure changes. And they feel they can do it within current environmental limits, in a sustainable and cost-effective way. The terminal is part-way through an impressive £80m transformation, which is in turn part of a massive £260m investment project. Phase one of the new international departure lounge was officially opened in late September 2014. It’s the third busiest London airport, Britain’s fourth busiest… and all with just one runway! Here’s a useful video guide to Stansted airport. If you can’t get enough facts about airports, you’re not alone. They’re fascinating places. Airport geeks unite! Here’s a link to the airport’s Wikipedia page. Do you remember the infamous Luton Airport TV ads for Campari? If you were around in the mid to late 1970s, you won’t be able to hear the phrase ‘Luton airport’ without hearing British model Lorraine Chase’s voice, a proper blast from the past. Chase starred in a series of funny TV ads for the alcoholic drink Campari, together with actor Jeremy Clyde. The ads were shot in exotic locations and featured the model having drinks with a classy gent. When he asked her, in finest romantic style, whether she’d been “truly wafted here from paradise”, she replied, in a strong Cockney accent, “Nah, Luton airport”. The famous line became so popular it was the subject of a 1979 chart hit by the band Cats UK. Here’s one of the TV ads, captured on video. The airport is no stranger to fame, having also been featured by Monty Python’s Flying Circus in the hilarious Piranha Brothers sketch, starring as the home of an improbable giant hedgehog called Spiny Norman. All very silly indeed. But there’s more. Between 2005 and 2008 the airport starred in a reality TV series following the site’s staff in their daily lives. The programme shadowed the airport’s duty managers and operations people during a major redevelopment, bringing the inner workings of one of Britain’s most popular airports to the front rooms of millions of fascinated viewers. In August 2013 London Luton Airport outperformed every other UK airport, enjoying its busiest ever month, with a whopping 11.8% increase in passengers compared to the same period in 2012, a sure-fire winner when the UK airport overall average passenger increase was just 4.4%. During 2013 9.7 million people passed through its doors, making London Luton airport the sixth busiest in Britain. 96% of passengers take scheduled flights, 4% take charter flights, 89% of people take international flights from Luton and 11% fly domestic. The airport sits just under two miles from Luton in Bedfordshire, 35 miles from central London and just a couple of miles from M1 Junction 10a. It’s London’s fourth biggest airport, after Heathrow, Gatwick and Stansted, and joins London City and Southend to make up the big six international airports serving the London area. London Luton hosts flights from EasyJet, Wizz Air, Monarch, EL AL, Atlasjet, Blue Air, TAROM, Thomson Airways and Ryanair and mostly serves Europe, with a handful of charter and scheduled flights to North Africa and Asia and onward connections to Mumbai, Hong Kong, Johannesburg, Beijing and Bangkok via Tel Aviv. In total the airport services more than a hundred popular destinations. Luton airport employs more than 600 people directly and 8,000 indirectly, so is vital for the economic health for the region. Luton’s top ten destinations are Budapest, Amsterdam, Dublin, Warsaw, Glasgow, Bucharest, Geneva, Edinburgh, Paris and Palma, with Budapest in the top position. Like many of Britain’s airports, Luton began life during the Second World War. The site was first used for flights in 1938, a base for Royal Air Force fighter planes. After the war ownership reverted to the Council, still home to commercial flights and the home of the famous Percival Aircraft factory until the early ’60s. In a trend set by McAlpine Aviation in the mid 1960s, a handful of executive jet operators and international maintenance companies are still based there. In 1972 Luton was Britain’s most profitable airport, an accolade that came to an end in 1974 when the package holiday firm Clarksons, complete with their own airline Court Line, went bust. Luton’s new name, London Luton Airport, came about in 1990. And in 1997 an £80 million extension improved the single runway beyond recognition. Wizz Air, Eastern Europe’s biggest low cost airline, celebrated its 10th Birthday at the airport in May 2014, having grown considerably since 2004 and now flying to 13 countries from London Luton. What about London Luton Airport parking facilities? All this is fascinating stuff, of course, but our real focus is airport parking, airport hotels and the facilities available. So what’s on offer at Luton? You’ll find short, mid and long term parking at Luton airport, and you can turn up an hour early at no extra charge when you pre-book on the internet. There’s also an official Meet and Greet service plus arrangements for Priority Set Down, Drop off and Pick Up and Disabled Parking. The facilities are open 24/7 and airport parking charges start from just over £3 per day. For full details about parking at Luton, follow this link to the airport’s official website.